Fariel, Neuman, Zenorf, and the other contributers at Psychodog Studios for the BB mod, without which none of this would have been possible. ***Please note this is absolutely the latest version of Better Clothes released by the psychodog team. And is the latest file that I uploaded to the old psychodog studios site. Thought I'd upload it here to make it available to people. The screenshots are oldies as I don't have Morrowind installed any screenshots people would like to submit would be helpful thanks. Happy Gaming. Better Clothes is a “replacer,” and we have tried our best to remain as close as possible to the original look of the clothing, while providing completely redone meshes and textures. In some instances, however, a degree of artistic license was taken by the individual artists. 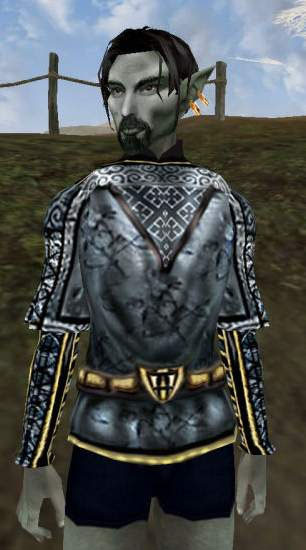 We have tried to stay as close as possible to the style of the original Morrowind clothing, so that it is still recognizable. but we feel that any such changes fit well with the overall style of the game. For those familiar with the TES Editor, Better Clothes also frees up several ‘body slots.’ These include the Left Foot, the Left Ankle, the Left Knee, and the Left Upper Leg. Essentially, this means that you can now wear pants and custom “non-hiding” Better Bodies compatible clothing at the same time. This mod fully supports the Morrowind clothing slot system, so armor can be worn over clothing without completely obscuring or replacing it. This also means that alternative bodies that aren’t based on Better Bodies, such as custom race mods, are also supported so long as they follow the Better Bodies scheme of having free left leg body slots. It was also decided that replacing armor would be outside the scope of this project.